Thai tea originates from Thailand, a country located in Southeast Asia. The tea can be served either hot or cold, although the most common method for consumption is over ice. The tea is made from strongly brewed black tea leaves and is served with milk and sugar. Drinking Thai iced tea regularly can benefit you. Black tea leaves, such as those used to make Thai tea, contain antioxidants that act as catechins that may help prevent cancer. According to a 2007 study performed by Toxicology and Applied Pharmacology in New York, the catechins found in the tea have anticarcinogenic properties that reduce the risk of cancer developing in the pancreas, small intestine, stomach, liver, bladder, oral cavity, colon, esophagus, prostate, lungs, skin and mammary glands. The higher the concentrations of the antioxidants to specific areas, the better the results of the cancer-preventive actions were received. Consuming Thai tea may play a vital role in preventing a future stroke or heart attack by helping your arteries to expand and become healthier. According to a Boston University School of Medicine study, heart patients who were given black tea to drink experienced a 50 percent improvement in the functioning of their blood vessels when compared with patients who consumed only water. Another study showed that a man who drank at least three cups of black tea daily had a 50 percent lower chance than dying of heart disease over a period of 10 years than men who did not drink black tea. 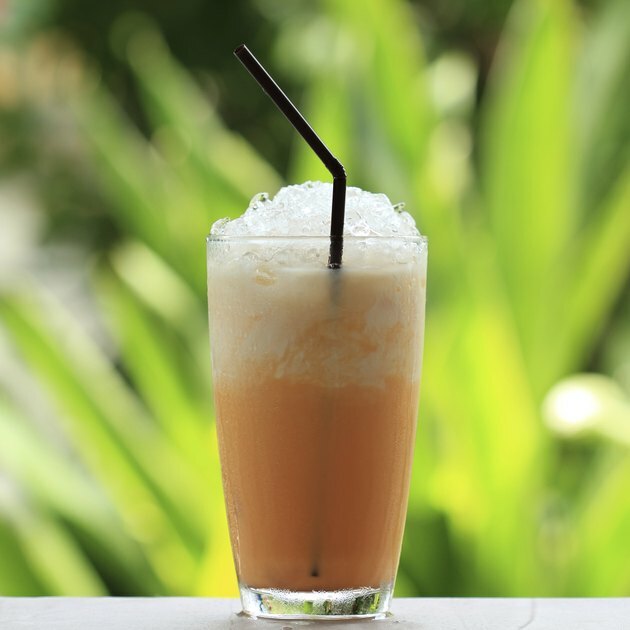 Thai iced tea contains caffeine, which acts as a stimulant. When caffeine is consumed in moderation, it provides you with increased concentration, alertness and energy. Eight ounces of Thai iced tea provides you with about half of the caffeine that you would get from drinking an 8-ounce coffee. According to The Right Tea, combining the antioxidants and caffeine from drinking Thai iced tea with moderate physical exercise several times a week may increase your metabolism and encourage your body to burn calories faster, leading to faster weight loss. However, drinking too much caffeinated tea can overstimulate your body, making you feel nervous or dizzy.